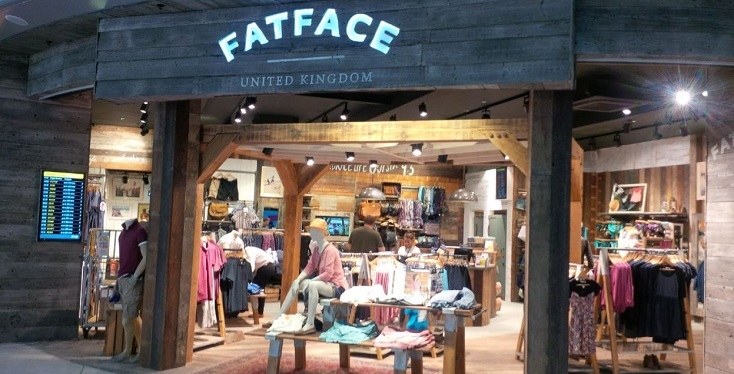 Visit Fat Face at London Stansted Airport to discover a range of clothing, footwear and accessories for free spirits. Why shop at Fat Face? Whether you're hitting the beach on holiday, or taking a skiing trip, you're sure to find something you'll love at Fat Face. The range includes cosy hoodies, warm cable jumpers, soft shirts, stylish shorts, jeans. loungewear and gorgeous accessories, so no matter what you're doing on your trip, you'll be ready for adventure.